Molinaroli led the company's vehicle battery business since 2007. Alex Molinaroli will be the next CEO and chairman of Johnson Controls, the company announced today. Molinaroli, 53, will replace current chairman and CEO Stephen Roell on Oct. 1. He will also join the company's board of directors when he becomes chairman on Jan. 1, 2014. Molinaroli started at Johnson Controls in 1983, working on building efficiency products and services. He was elected as a corporate officer in 2004 and appointed vice chairman in January. "In our view, the leadership change will be a positive for the company and the stock in the intermediate term," Wells Fargo analyst Richard Kwas wrote in a report today. "We believe there could be additional senior management shifts/changes at the company over the next 6-12 months." Prior to serving as vice chairman, Molinaroli led the company's vehicle battery business since 2007. "Our company's standard for excellence and culture of integrity were built by great leaders who preceded me. Being selected to steward this organization is an honor and privilege that I take very seriously," Molinaroli said. "Steve Roell has truly embodied all that is good about our people and culture, and he has been a great role model for all of us." 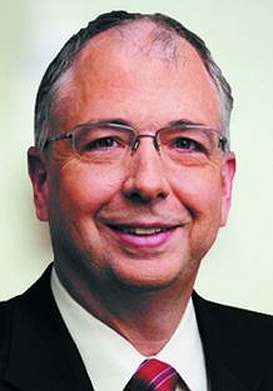 Roell will leave Johnson Controls after working there for roughly 31 years. He's been CEO since October 2007 and chairman since January 2008. Roell led the company through a massive global restructuring that started in 2008. "I am extremely proud of what we've accomplished over the past six years during my tenure," Roell said in a statement. "I've enjoyed my entire 32-year career with Johnson Controls and want to express my appreciation to the Johnson Controls employees and our directors for their support. It has been an honor to lead and represent the company in the community and with our shareholders." Roell will continue to serve as chairman until he retires on Dec. 31. Johnson Controls, of Milwaukee, ranks No. 6 on the Automotive News list of the top 100 global suppliers with worldwide parts sales to automakers of $22.52 billion in fiscal 2012.